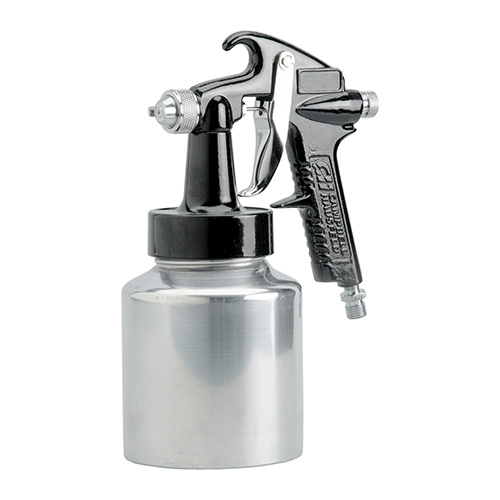 The Campbell Hausfeld general purpose spray gun (DH420000AV) changes from siphon to pressure-feed for use with a variety of materials, including his latex, lacquer and enamel paint, stain and primer. A fluid control regulates the amount of material sprayed to help deliver great results. 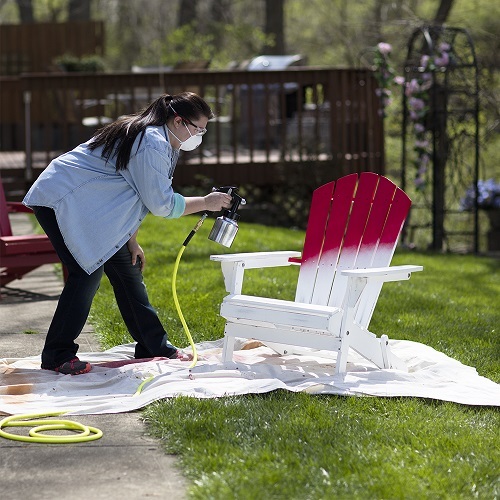 Convertible from non-bleeder to bleeder style for use with standard or tankless air compressors; also works with paint tanks and remote canisters for larger paint jobs.